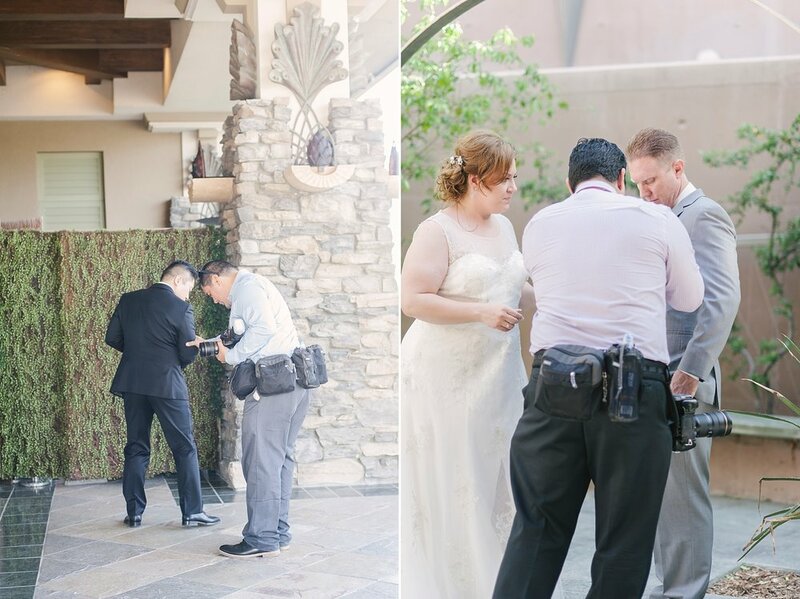 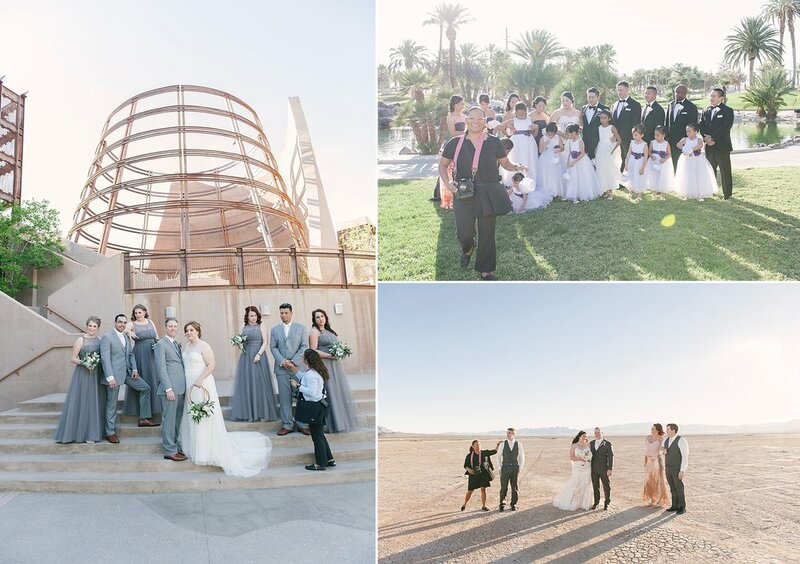 There's nothing better than a fun,easy-going couple and their bridal party! 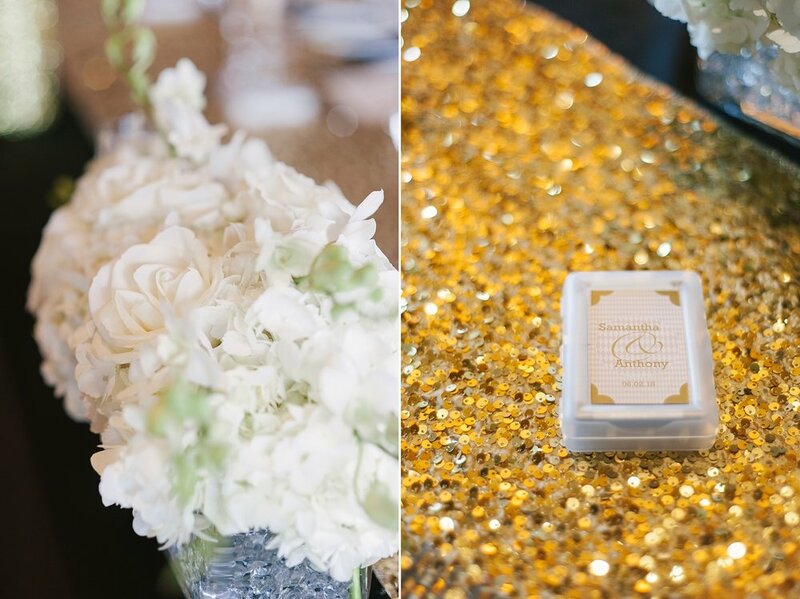 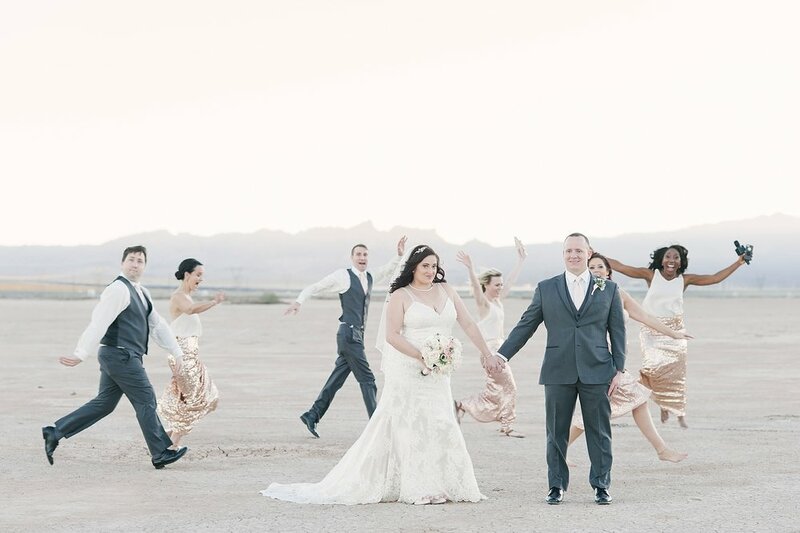 Dejah and Charles wanted their wedding to be just that - fun, easy-going, and uniquely them! 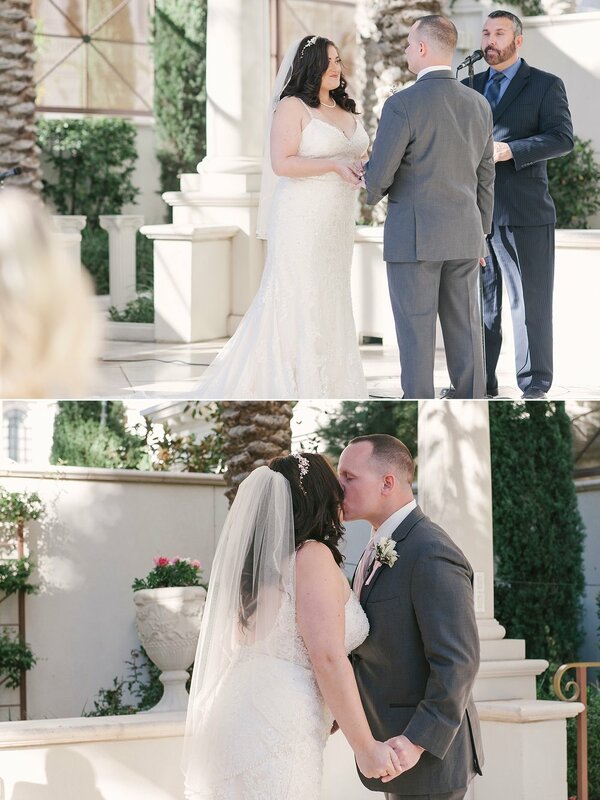 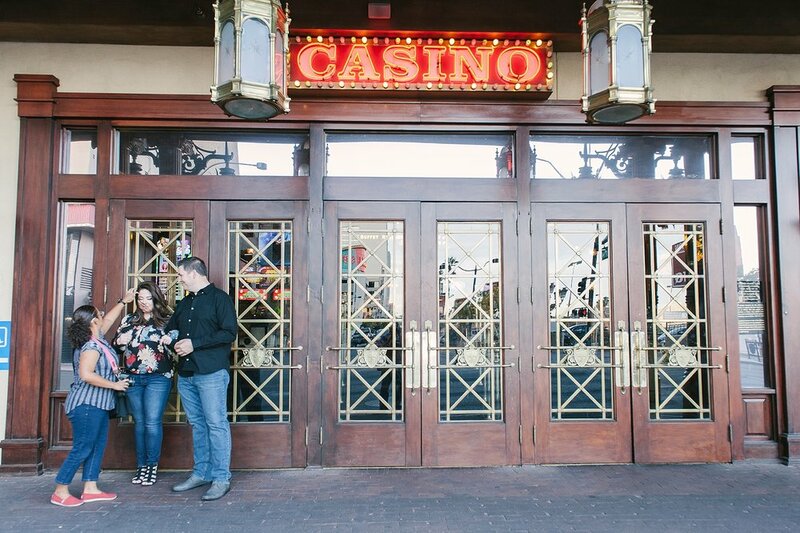 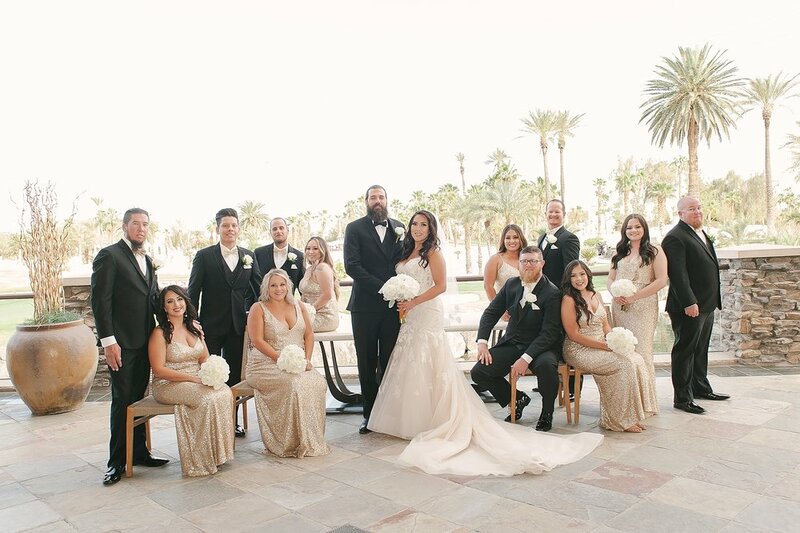 So they traveled to Las Vegas from North Carolina with their bridal party and a handful of amazing friends and had themselves an unforgettable wedding weekend! 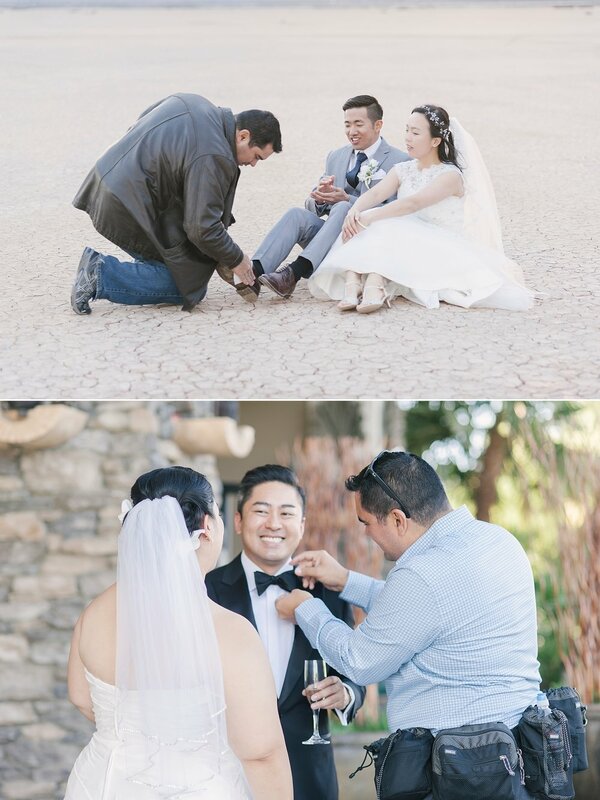 That's one of the great things about having a destination wedding. 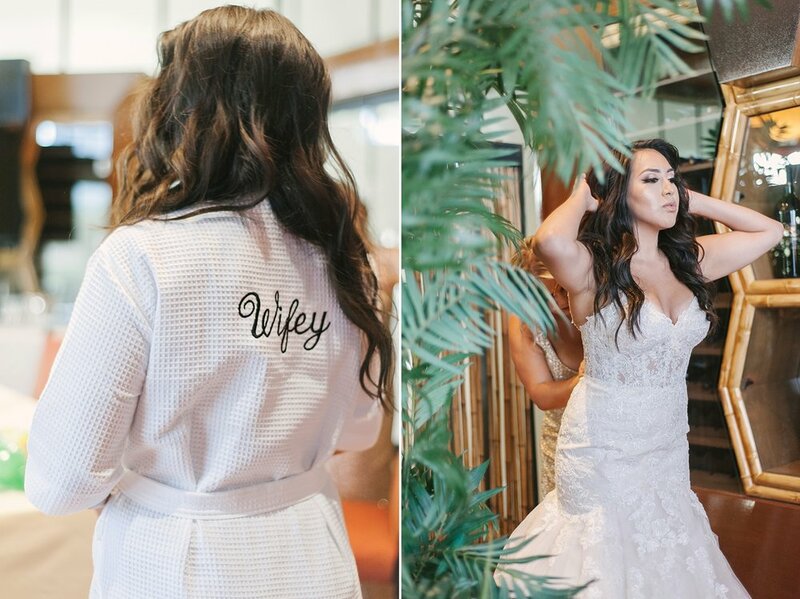 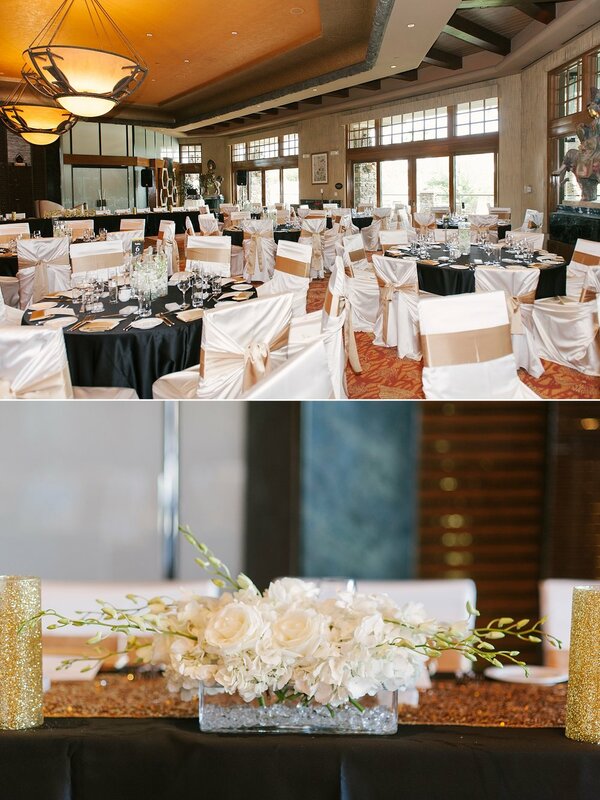 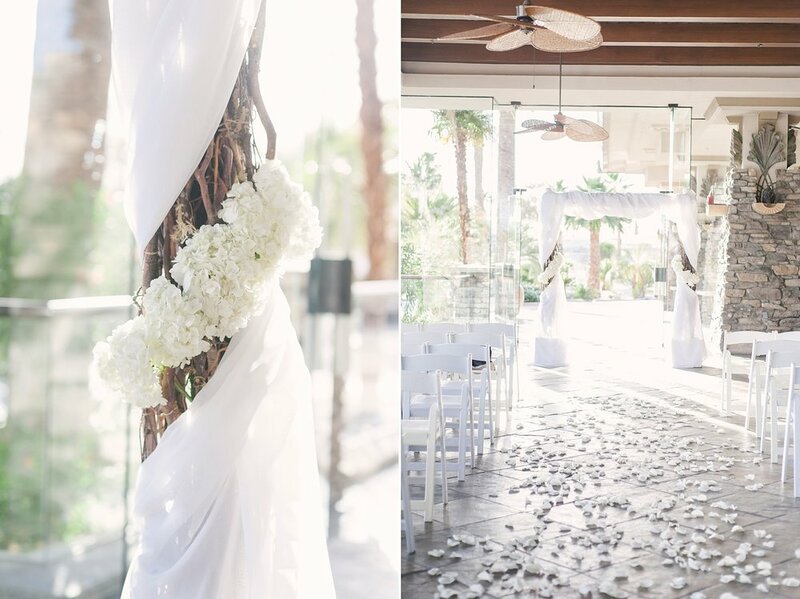 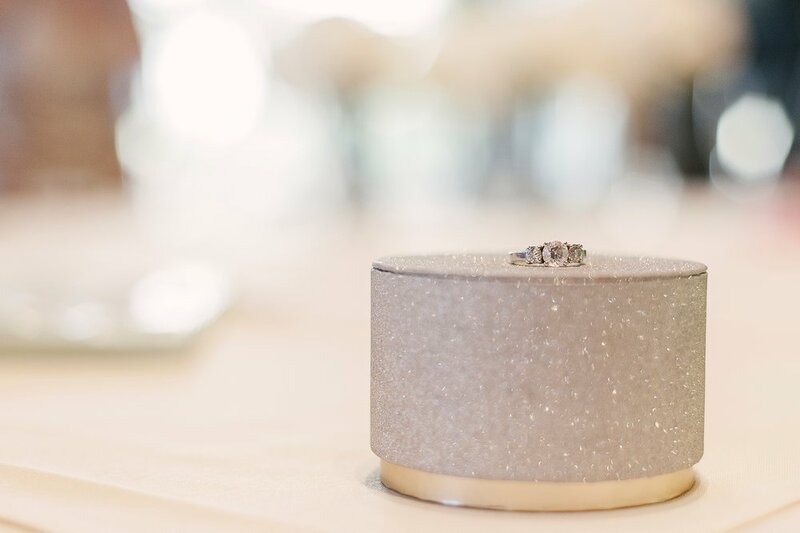 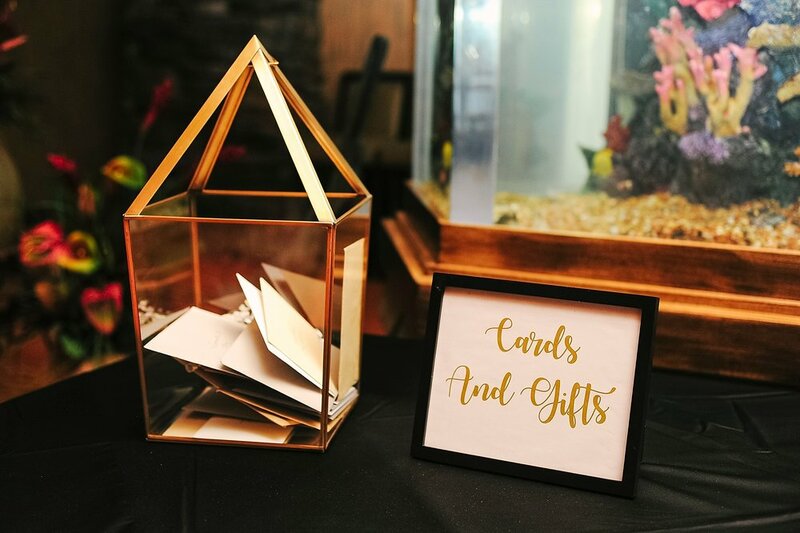 Not only do you get to have an intimate and amazing wedding day but you get to stretch out the festivities into a few days! 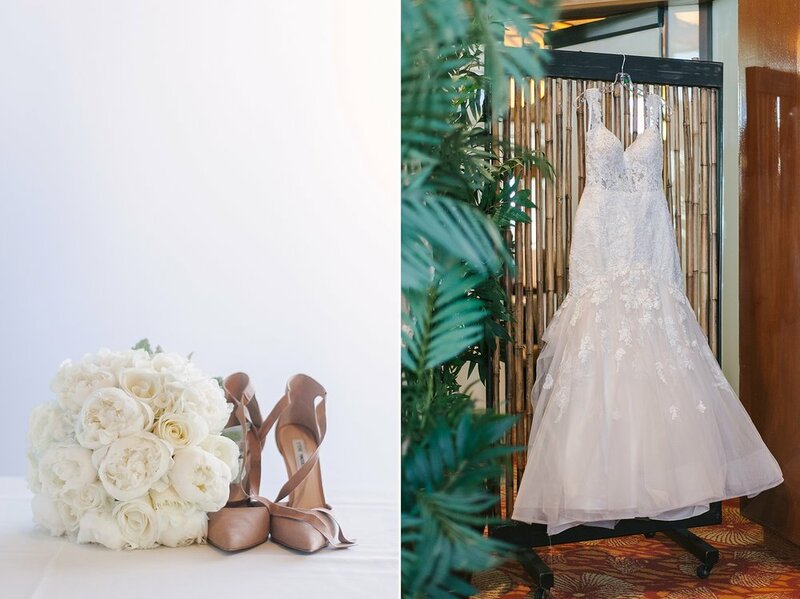 Think: fun days at the pool, a night out dancing, catching a show, post-wedding day brunch, and so on! 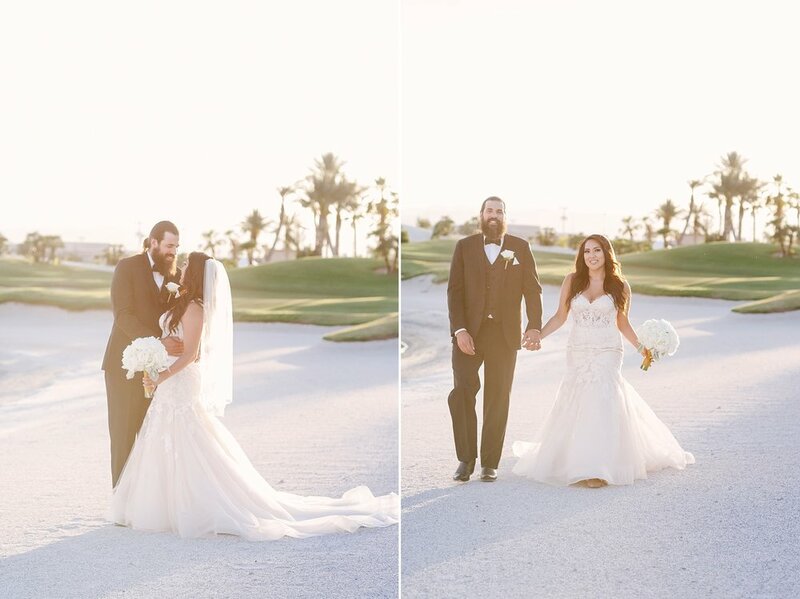 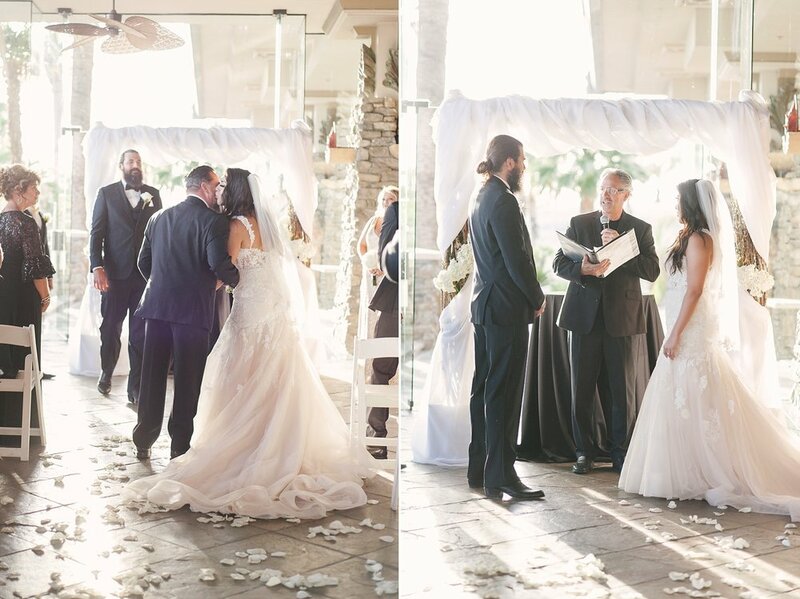 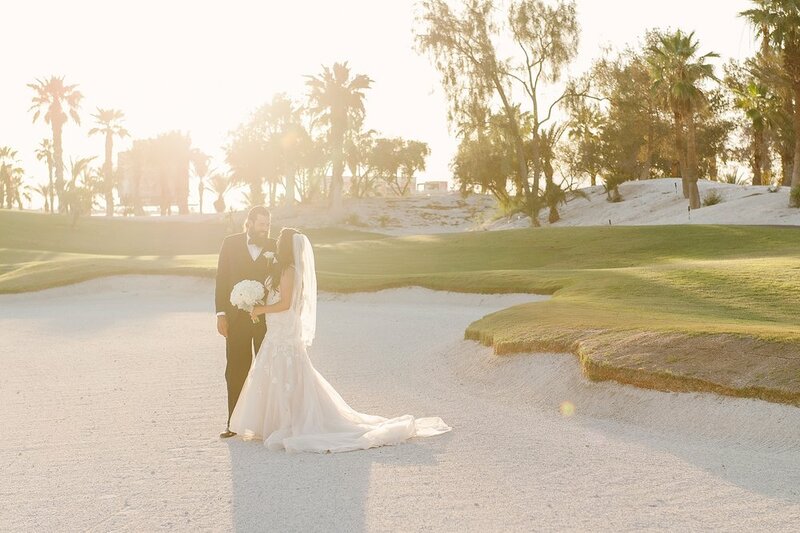 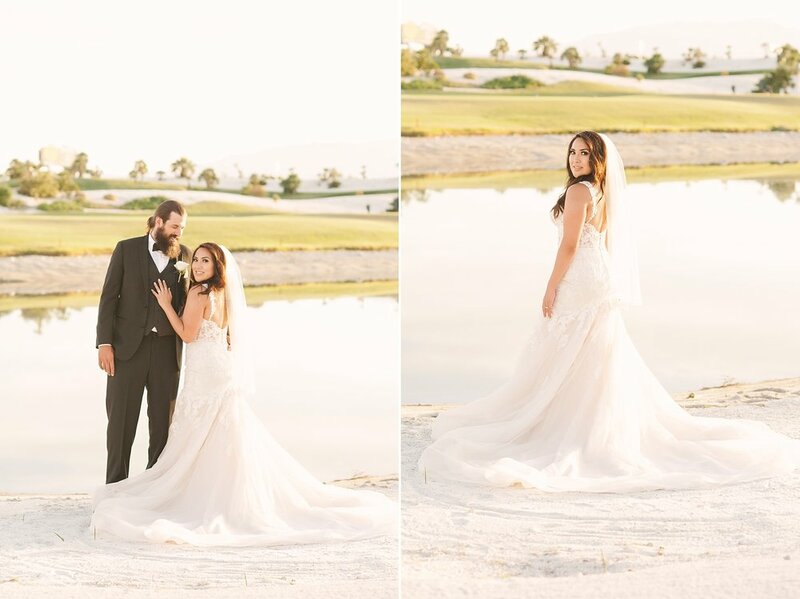 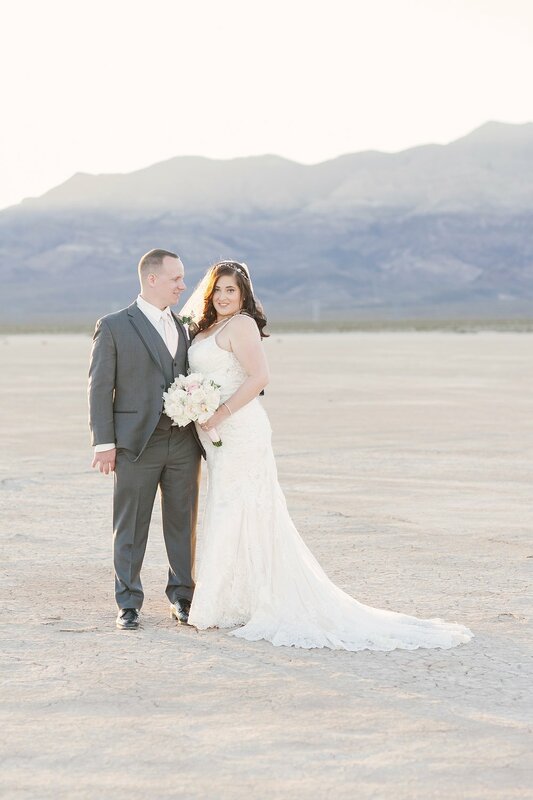 After their ceremony we headed to the dry lake bed a pretty epic time! 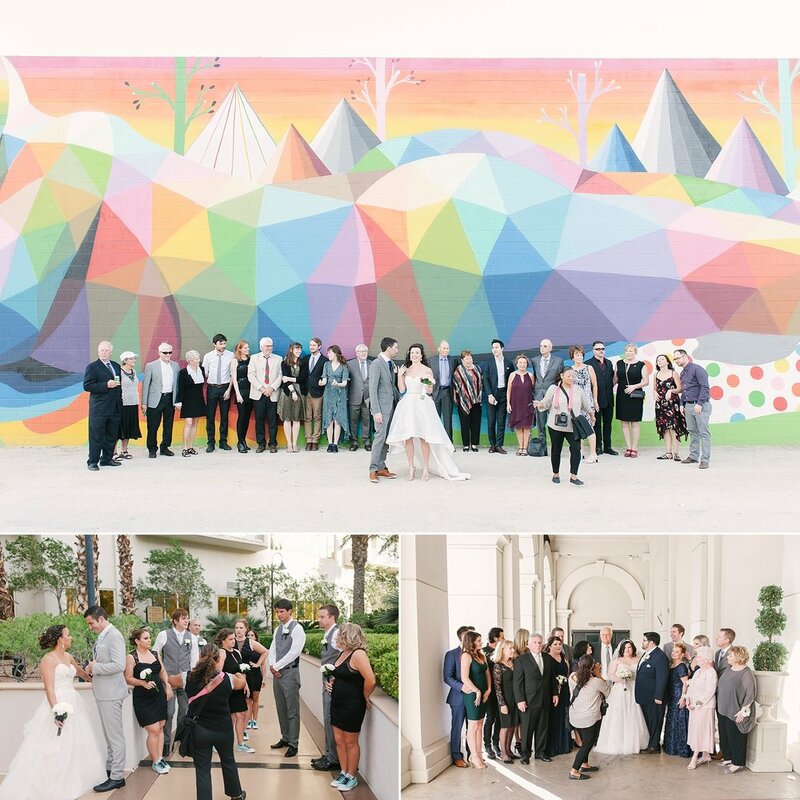 We got some gorgeous photos, had a ton of laughs, and there may have even been an impromptu dance party!